BOXING: IT’S likely English Elite 60kg champion Danny Quartermaine will have to wait until Janaury to defend his belt. 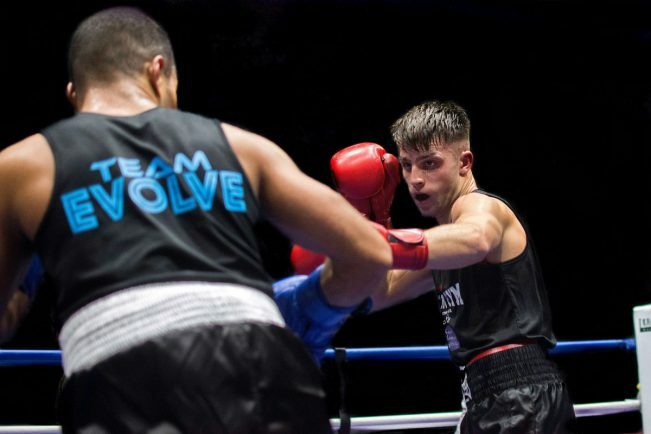 Quartermaine, who beat Lewis Frimpony of Elove Boxing Academy, at the Real Tennis Centre last month, has been forced to put a hold on sparring work after receiving a blow to his head during the English title fight. The Leamington boxer has a significant lump above his left eye, meaning it’s unlikely doctors will clear him to defend his title at the end of the month. Consequently, Quartermaine will have to wait until January to defend his belt – something which the Clearys team are looking forward to.